Are you looking for historical Flanders condos for sale in Ocean City NJ? The Flanders is located in front of the beach and boardwalk making for one of the best locations on the island. 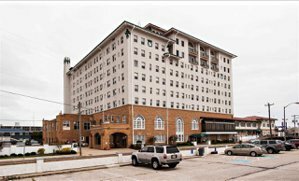 Built in 1929, Flanders has 123 units consisting of one and two bedrooms with one bath, three bedrooms with two baths, and the penthouse suites are five bedrooms with five baths 3400 sq. ft. Magnificent views! Amenities include elevator, laundromat on site, outside showers, patio, largest heated pool on the island, security, storage facility, fitness room, on-site restaurant, gift shop, banquet center, and salon/day spa. Walk to places like Manco and Manco Pizza, Playland's Castaway Cove, or the 14th st. Fishing Pier. Great primary location or rental income potential.